The popular Toronto festival, happening next weekend at Downsview Park, announced that it will allow partiers to bring their own naloxone kits to prevent accidental opioid overdose. A Toronto music festival has expanded its safety protocol to allow patrons to bring naloxone, an anti-overdose medication, onto festival grounds. Veld Music Festival, a two-day event startingAugust 6 at Downsview Park, prohibits illegal substances. But after consultations with Toronto Public Health organizers, it will allow ticketholders to carry naloxone with them. Veld promoter INK Entertainment said it still working out the details and declined to comment further on today's announcement. Other harm-reduction measures include an increased number of water stations, shaded areas and a designated space for women. Veld also announced that harm-reduction organization TRIP!, which promotes safe drug use at festivals, will have outreach workers available to educate those in attendance for the third year in a row. The changes follow an announcement this week by the promoters of WayHome Music and Arts Festival, which backed down on a naloxone ban at the annual event that would have prohibited personal kits from being carried. WayHome, an annual festival near Barrie, Ont., will now allow festival patrons to exchange naloxone injection kits for a nasal spray. In an interview with CBC News before the ban was overturned earlier this week, Dr. Adam Lund, WayHome's medical director, defended the decision to allow naloxone administration by trained medics only. "Naloxone is not a one-stop solution," he said, explaining that the drug has a finite effect and must be administered correctly. TRIP! project coordinator Lori Kufner disagrees with WayHome's initial policy, adding that the harm-reduction organization believes in widespread access to the medication. 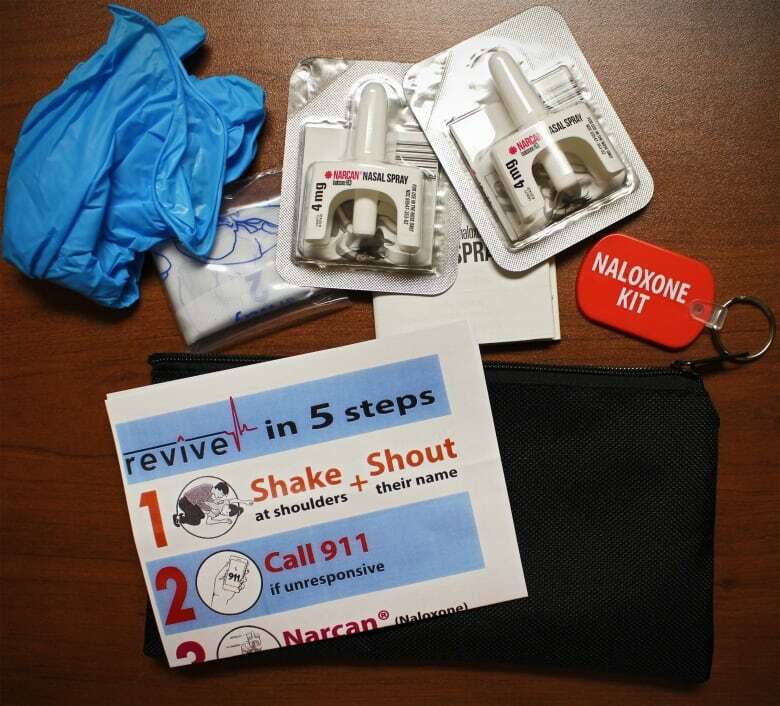 "In order to get the naloxone you need to be trained," Kufner said. "So whether it's been picked up at a pharmacy or [it's a] harm-reduction worker whoever has it knows how to use it." Naloxone temporarily blocks the effects of opioids such as fentanyl, which can depress breathing and have been found in an array of contaminated substances in Canada. Toronto-area festival veteran Clara Greig says she's been to music festivals like VELD across Canada and has seen various strategies for harm reduction put into practice. In an interview with CBC Toronto the 26-year-old recalled her experiences at a B.C. festival six years ago, where friends watched people collapse from taking substances smuggled into the festival. "One guy came up to us with a Pringles container full of drugs," she said. "MDMA, acid, ketamine — you had access to them." Greig says she's seen a change in attitude from festival organizers over the last few years, with promoters placing greater emphasis on harm reduction and safety. Could drug testing at music festivals save lives? Grieg says, from what she's observed in her years on the festival circuit, it's a change for the better. "People overindulge. They have misconceptions about safe drug-taking," she said, referring to the need for naloxone and other harm-reduction measures at festivals. "One hundred percent, it should be in any bar, any place where people are drinking or doing drugs." In 2014, two people died at Veld after ingesting drugs and 15 others were hospitalized. INK Entertainment would not comment on the number of medics supervising this year's festival.